The Young Alliance Against Cancer recently interviewed Fiona Nielsen – CEO and founder of DNAdigest and Repositive. The interview was originally published at the website of the Young Alliance Against Cancer (YAAC) and is reposted with permission. 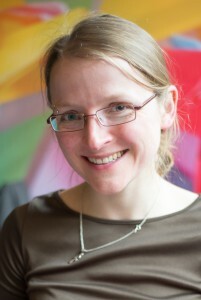 Fiona Nielsen was trained as a bioinformatician at the University of Southern Denmark and Radboud University in the Netherlands. After working as a developer for Illumina she founded and currently presides the charity DNAdigest as well as the social enterprise Repositive limited. Her goals are promoting best practices for efficient and ethical data sharing as well as developing and providing novel software tools and mechanisms for sharing of genomic data. YAAC: Dear Fiona, you were recently chosen as one of 15 entrepreneurs to travel to Silicon Valley and participate in the prestigious BlackBox Connect Program. On top of that Repositive has not so long ago successfully raised another round of funding. Congratulations! Our readers are excited to hear about your short- and long term plans. But before we get to that, I would like to ask you a few questions related to the early days at DNAdigest and Repositive. You have certainly answered questions like these before but many of our readers are curious how someone in a good position at a prestigious biotech company gave it all up to start a social enterprise. How did it start, what motivated you? Fiona Nielsen: Well, it started during my time with Illumina, when I realised that it takes a lot of time and effort to locate and access genomic research data sets both in academia and industry. Working on analyzing cancer samples for Illumina, I would always end up with inconclusive results because of insufficient samples to power my analysis, and it was near-impossible to find and access sufficient amounts of the right type of data for an analysis within the timeline of a project. That is when I first decided to work on data accessibility and soon became aware of the bigger picture and the general problem across the research community. I realised that, although everyone was clearly eager to enable personalised medicine, I found no one working on how to increase the amount of genetics research data that is made available for easy and efficient reuse by the research community. In my mind, a solution would involve finding and enabling data suppliers with the proper credentials and making data access both fast and easy. Through my personal experience of cancer in my family, I feel very strongly about the current practice of cancer patient treatment: Day-to-day cancer treatment is still very far away from the concept of personalised medicine. Personalised medicine is not going to happen without fundamental changes in the way biomedical researchers access and share genomics data. I decided to quit my day job when I realised that I was spending more time thinking about data accessibility than about the daily tasks in my job – then I knew it was time to move on and do something about the problem. YAAC: What were major hurdles along the way? Fiona Nielsen: Initially, I thought that this project could be run entirely as a charity so I founded DNAdigest in March 2013 and started running community events, workshops and hackathons to explore the scope of the problem and potential solution models. At the same time, I started applying for all possible grants to support the project. During this time my initiative received lots of positive feedback but no money: it turned out to be very difficult to get grants without a track record in doing what we wanted to do. The only financing options was donations and sponsorships on an event-to-event basis. It was not until we spun out Repositive as a mission-driven commercial entity that we had our breakthrough in funding. Half a year later we had already received seed funding, and started hiring people and developing the Repositive platform. We spun out everything related to software development and business model to Repositive, while DNAdigest remains as an independent organisation to create community awareness of the challenges of data sharing in human genomics research and encourage best practices for ethical and efficient sharing of genomic data. YAAC: Do you have some advice for young scientists starting their own social enterprise? Anything you would do differently if you had to start all over again? Fiona Nielsen: I get frequently asked by young scientists and students: “Should I start my own business?” And I always answer “No”. For sure, it is exciting to build something yourself but I want everyone who asks to realise how much work it means, how it will impact your social and personal life, and draw on your personal resources. On top of that you have to get used to being told “no!”, “no, it can’t be done”, “no, it is not possible”. And then you have to go out and try to do it anyway. I tell people “no!”, because only those who are determined enough to follow their vision anyway will have a chance to see their project through. YAAC: How interested do you think, is the private biotech sector in what you are doing? Do you feel that there is awareness of the problems you saw and which led you to found DNAdigest and Repositive? Fiona Nielsen: There has been a lot of interest from the private sector since frustration during the search for genomic data is similar in the private sector and academia. The problems that led to the foundation of DNAdigest and Repositive affect all companies that deal with genomic data. For Repositive, it is the private sector that asks for our services to help them find and gain access to the right data faster. YAAC: We read that Repositive is planning a query engine, which will deliver aggregated statistics on genomic data. Could you comment a bit on this feature and on some of the things planned for the near future? Fiona Nielsen: We recently finished a proof of concept project funded by InnovateUK, and we will eventually launch this service on public data sets. We are also working on ways to evaluate data sets and perform statistical queries without the need to download data. We are very excited about making public data more easily accessible and expect to release the first examples at the end of the year. YAAC: Could you please estimate what percentage of open access genomic data is currently accessible through Repositive? And what is the current growth rate? Fiona Nielsen: On the Repositive platform (currently in beta) you can already search across 10 different data sources, and we have more than 200 data sources in the pipeline for indexing. It is difficult to answer, however, how many datasets are available around the world. There are of course the public repositories that everyone knows but there are many institutional repositories with lots of public data as well as private sources, which we are also indexing. Some of them make their data publicly available and some charge a fee for data access. If you follow the Repositive blog you can stay up-to-date on new data sources as soon as they are available. YAAC: Would you venture a long-term prediction for Repositive’s future? Fiona Nielsen: We hope to create a worldwide data community with visibility and simple access to genomic research data sources, and establish Repositive as the hub for easy access to the data you need to power your research. YAAC: Dear Fiona. Thank you very much for this interview. We wish you all the best for the future!